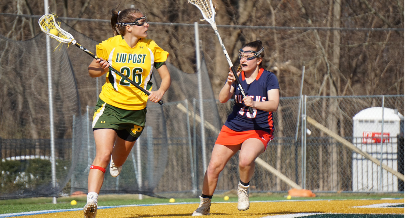 The Pioneers flushed out Queens College at Bethpage Federal Credit Union Stadium on Wednesday, April 3 with a landslide victory of 19-1. Less than 10 minutes into the first half, the Pioneers took a 9-0 lead, with two goals from junior midfielder Alyssa Mallery. Mallery went on to score a total of four goals in the game. “I wouldn’t have been able to score without my teammates opening up space; I was also getting great feeds from my teammates,” Mallery said. While it was a big day for Mallery, it was a day to remember for adolescent education graduate student Abbey Sollecito as she scored her first career goal as a Pioneer. Junior marketing and management major, Kendall Purdy was on the other side of the field on defense, watching her teammates shine on offense. “It was hard to not see much action during the game, but I enjoyed watching my teammates do amazing things on attack,” Purdy said. 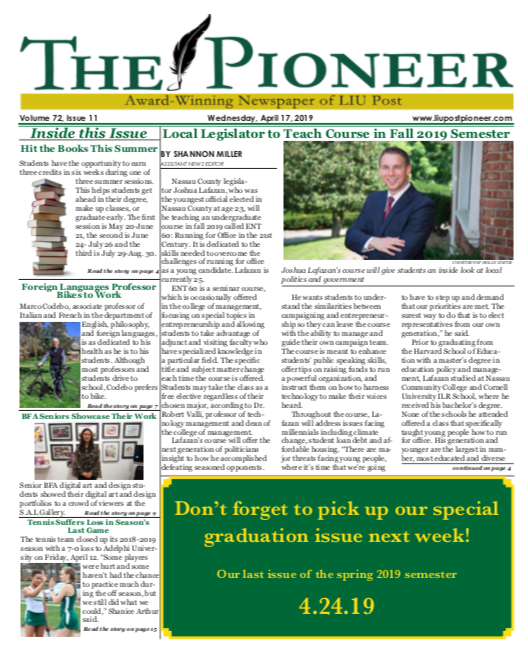 The Pioneers expected to win against Queens.“It was nice to have a big win, but I enjoy the close, competitive games,” Purdy said. 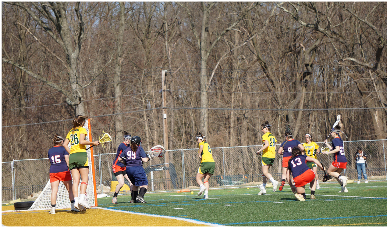 Prior to the game against Queens College, the Pioneers won by a slim margin with a score of 10-9 against Adelphi University on Saturday, March 30. The feelings from that win against their rivals followed them into Wednesday’s game. “It felt good to have a great win today; the feeling from winning on Saturday [Adelphi] was unforgettable though,” Sollecito said. The Pioneers will face off against the New York Institute of Technology, (NYIT) on Saturday, April 13 at Bethpage Federal Credit Union Stadium at noon.